We’ve embraced Google Tag Manager as an excellent tool to help companies and agencies correctly implement Google Analytics and other third-party tracking. We use Google Tag Manager (GTM) daily with our clients, helping to manage their implementations from afar, responding to urgent updates, or helping to train key staff on how best to utilize the tool. Our book has been in the works for a while, you’ve probably heard us mention it once or twice! 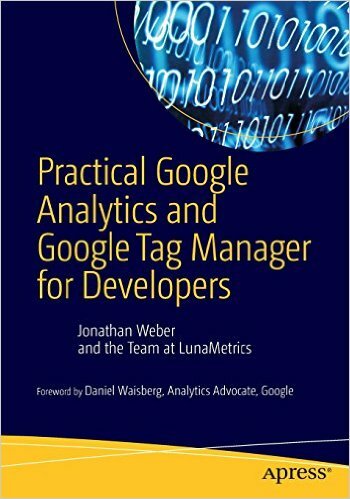 Jonathan Weber, our Data Evangelist, and resident GA/GTM expert wrote the book with contributions from the entire team. It’s packed full of best practices, step-by-step instructions, and careful explanations of some of the most complicated GA/GTM topics. Jonathan comes from an information architecture background and started with us over 6 years ago, back when there were just 4 employees. As a trainer, he’s helped to craft our Google Analytics trainings and Google Tag Manager workshop with the most important information possible, traveling the country to lead seminars. In addition the book, we’ve launched a new Google Tag Manager Recipe section our site. We’ve created “recipes” or GTM Containers to address some of the most common requests that we’ve gotten for Google Analytics implementations through GTM. 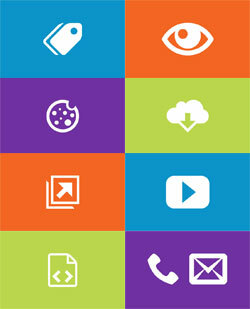 You can download everything we’ve got in the GA Complete Pack, which includes all of the above!